Welcome! I am so happy to be part of the Gratitude Blog Hop. It is nice to take the time to share things I am thankful for! I love my family! It is not perfect! Through ups and downs I have been amazed at how well my family can adapt, change and thrive. I am thankful for their ability to grow and make the best of sometimes difficult situations. From a child with special needs to the ups and downs of everyday life…we get it done. Some times its not pretty, but it is us! My kids will tell you they are TIRED of having their picture taken for this blog! However, we have finally resorted to paying! So Bella is okay with it as long as there is a modeling fee involved. Blogging does give them things to be thankful for…… American Girl Doll Dresses, Toll House Pie and loads of food! We are an UNO playing family that loves to countdown to Christmas with special Advent Calendars and celebrate St. Nicholas Day. I met my husband in college and we have grown up together. This year we celebrated our 25th wedding anniversary. I couldn’t blog without him. He is always willing to grab a drill and help me out, to listen to my crazy ideas, and put up with undone laundry and a messy home. I am thankful he understands my need to create! 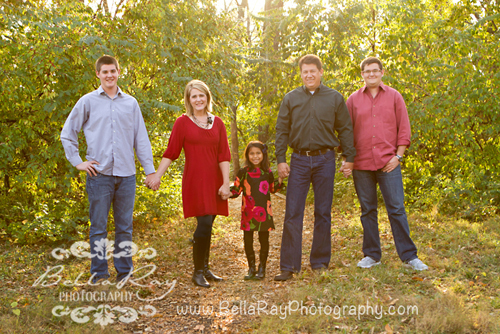 Sometimes I fail to show this sweet family and my dear friends my thankfulness. I am in awe of this village of people that surround me with their love and understand my chaos, cherish my imperfections and appreciate my creativity. So in an effort to share more thankfulness I have some special cards that can be printed and tucked in a loved one’s lunch, pocket, drawer………. You might also like my free printable kindness notes. Don’t miss some other beautiful ways to express gratitude with the Gratitude Blog Hop! Thank you for sharing this! I will be using them for Walter Reed projects I send each month. I make handmade items to make the hospital stay a bit easier and these notes as well as the kindness notes will be an amazing addition. I wonder if there's any way you can talk to me really soon about those thank you or kindness cards you printed up. I want to print some like that (but with my own messages) to girls in the dorm we live in here at Baylor. And I want to get it going ASAP to be ready for this Thursday night (2.12.15). I have questions about how to do it! i know this is a shot in the dark because you may not get this or have time to deal with it. No expectation. Cute, Cute, Cute printables! Love them. Love the bright, bold printables!! Love that you pay a modeling fee! When my kids were little I use to bribe them with happy meals if they behaved for family photos! I just love these, Cindy! Happy Thanksgiving, friend! Love the colors of these cute printables! 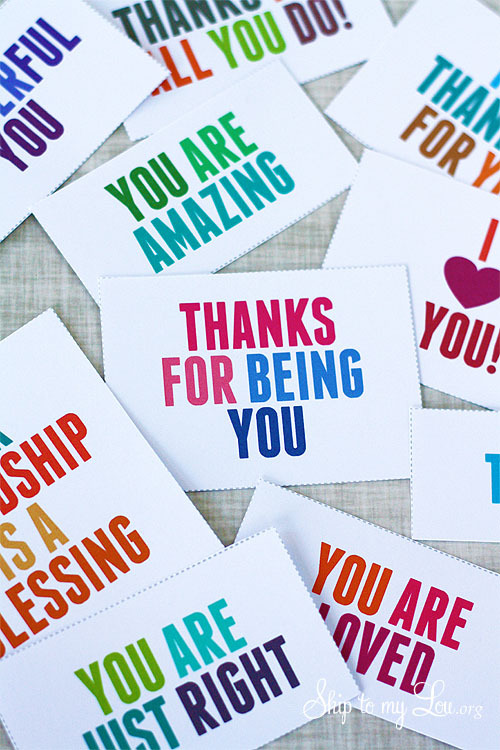 Love your printables - everyone needs beautiful thank you cards! It was a pleasure to participate in the bloghop with you! Becky B. The bright colors on these are so fun! Darling family!! I love this… I am pinning ! Awwwww thanks everyone! I am thankful for your sweet comments! Thank you for sharing your gratitude. It's contagious and that's a good thing.